. 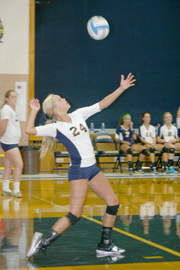 Whiteford won the first match 25-8, 25-12 and 25-17. They came back to win the second match 25-12, 25-12, 22-25 and 25-12. The Bobcats are 7-0 in the TCC. For the complete story, please see the Oct. 9, 2013, edition of The Advance.